Clarence River winding between the Seaward and Inland Kaikoura Ranges. The Observatory (left) and Mount Warder (centre). 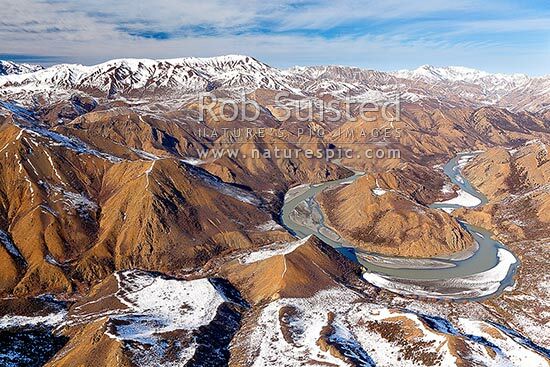 Winter aerial view, Clarence River, Kaikoura District, Canterbury Region, New Zealand (NZ), stock photo.